Wondering if toner is a necessary step in your already complicated skin-care routine? We asked the experts what they think. Toners can help balance and brighten — the key is to choose the right toner for your skin type. Dr. Howard Murad, founder of Murad Inc., says toner is the step that completes the cleansing process and is beneficial for the overall health of your complexion. “Given how busy we all are these days, people tend to rush through the cleansing process, and toners can remove any impurities that may not have been washed away during cleansing,” says Murad. Just take a look at the gunk on your cotton pad after using your toner, and you’ll see what he means. Murad advises women with acne-prone skin to choose a toner with antioxidants like grape seed extract and vitamin E (to help protect against free radicals), chondrus crispus extract (to regulate oil production) and witch hazel (to remove oil while tightening pores). 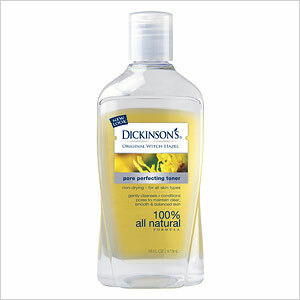 Dermatologist Dr. Marina Peredo, owner of Spatique Medical Spa in Smithtown, NY, and associate clinical professor of dermatology at Mount Sinai Hospital in New York City, recommends Dickinson’s witch hazel toner, which she says is great for acne and dark spots. 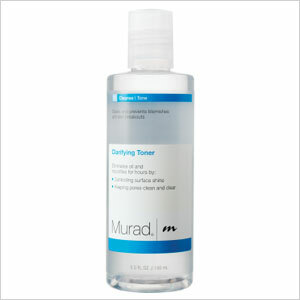 Dr. Murad suggests Murad clarifying toner to eliminate oil and control shine. What about women with dry skin? It turns out there are toners that can actually help with hydration. Kaplan recommends toners with ingredients such as rosewater and essential oils to rehydrate the skin while balancing pH. Murad suggests women with dry skin or hormonal aging try a hydrating toner featuring lecithin to lock in moisture and restore suppleness. What other ingredients should you look for if hydration is the goal? Chamomile and cucumber extract soothe irritation, says Murad, while witch hazel is key for all skin types because it is gentle, tightens pores and helps restore natural pH balance. 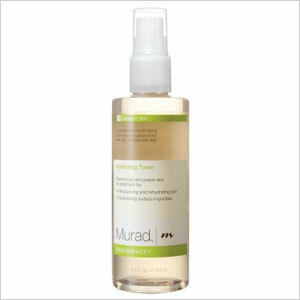 Dr. Murad suggests Murad hydrating toner, which rehydrates skin and restores suppleness. Dr. Kaplan recommends KAPLAN MD hydrating toner, which quenches dry, dehydrated skin while softening and smoothing skin texture. So toner can clean out your pores, balance pH levels and hydrate dry skin, but did you know it can also help with sun damage? Murad recommends women with environmental damage, sun spots or age spots use a toner with ingredients such as bitter orange flower and coneflower extract to strengthen the skin’s natural defense system while conditioning and hydrating. 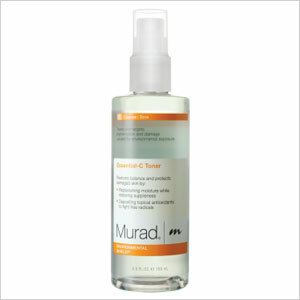 Dr. Murad suggests Murad Essential-C toner to rejuvenate and protect damaged skin.